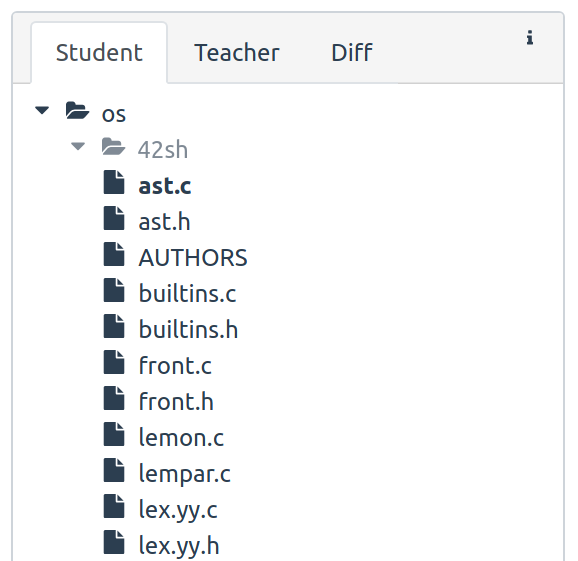 I think it would be nice if the tabs teacher and diff are greyed out when there are no file modified / added. Maybe we could also finally fix the bug that directories are always sort of greyed out in this PR. Yep that would both be nice. I'll get to it tomorrow. Merging #587 into master will not change coverage. Powered by Codecov. Last update 6a93ad6...8c8140c. Read the comment docs. data() function threw an exception instead of returning the object. I haven't tested with an actual revision yet.